SCVHistory.com | Borax: The Twenty Mule Team. Borax: The Twenty Mule Team. Published by U.S. Borax Inc.
Used for centuries in ceramics and goldsmithing, borax was originally imported to the United States from Tibet and Italy. A physician is credited with first discovering borax crystals in Northern California while testing waters for medicinal properties. However, it wasn't until "cottonball" [a.k.a. ulexite] — a crude ore compound of boron, oxygen, sodium and calcium — was discovered in large quantities that the domestic industry sprang to life. Cottonball lay in shimmering masses on the ancient desert floor and could be harvested with a shovel. The challenge lay in transporting the ore out of the desolate wasteland for processing into a growing array of industrial and household uses, such as laundry applications. The Borax twenty mule team is one of the most memorable icons of the American West, and of the pioneers who transformed its mineral wealth into a foundation of modern industry throughout the world. Today, that twenty mule team is the proud symbol of a visionary company that remains the global supplier of choice for customers seeking outstanding products, value and service. The saga of the twenty mule team began more than a century ago in the arid deserts of California's Death Valley. But the same spirit of enterprise, innovation and service that gave rise to the world-famous "Twenty Mules of Death Valley" continues on to this day at Borax facilities worldwide. Borax maintains its position as the world leader in borate chemistry and borate technology through its advanced mining facilities, refineries, and research and development laboratories. The company's global distribution network also provides unsurpassed service to customers in nearly 100 countries around the world. Programs to ensure that borate products are used and handled safely, as well as environmental programs designed to protect the world our customers and employees live in, are further examples of Borax's goal to be the best: a goal that started more than 100 years ago. Two men played key roles in bringing borates from the desert floor to industries and households around the world. The first was Francis M. "Borax" Smith. 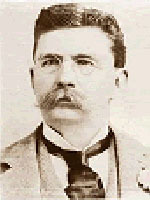 Smith established the first successful borax mining operation in 1872 at Teel's Marsh, Nevada. 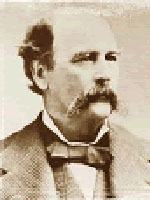 Credited with starting the borax rush that swept the Nevada desert in the late 19th Century, Smith founded the Pacific Coast Borax Company, predecessor to U.S. Borax. Another important borax pioneer was William T. Coleman, one of California's most prominent businessmen. In 1881, Coleman filed claims on the richest fields of crude ore yet discovered — hundreds of glistening, isolated acres of cottonball in formidable Death Valley. By the early 1880s, he established the Harmony Borax Works near what is now Furnace Creek Ranch in Death Valley. The route from Death Valley to Mojave covered 165 miles from Harmony to the first water at Bennett's Wells, 53 miles to Lone Willow, 26 to Granite Wells, an easy six miles to Blackwater, then a 50-mile waterless stretch to Mojave. The rugged topography and climate added to the distance to create a treacherous journey. Blistering temperatures often ran as high as 130° F (or 55° C) in summer. Work crews blasted and hammered a roadbed of sorts over this rugged wasteland — the mules and wheels of the wagons had to do the rest. With a growing demand for borax and an apparently unlimited reserve of crude ore, Coleman needed to find the quickest, surest way to move his product out of Death Valley. According to legend, Coleman's local superintendent J.W.S. Perry and a young muleskinner named Ed Stiles thought of hitching two ten-mule teams together to forms a 100-foot-long, twenty mule team. The borax load had to be hauled 165 miles up and out of Death Valley, over the steep Panamint Mountains and across the desert to the nearest railroad junction at Mojave. The 20-day round trip started 190 feet below sea level and climbed to an elevation of 2,000 feet before it was over. Built in Mojave for $900 each, the wagons' design balanced strength and capacity to cary the heavy load of borax ore. Each wagon was to carry ten tons — about one-tenth the capacity of a modern railroad freight car. But instead of rolling on steel rails over a smooth roadbed, these wagons had to grind through sand and gravel and hold together up and down steep mountain grades. Iron tires — eight inches wide and one inch thick — encased the seven-foot-high rear wheels and five-foot front wheels. The split oak spokes measured five and one-half inches wide at the hub. Solid steel bars, three and one-half inches square, acted as the axle-trees. The wagon beds were 16 feet long, four feet wide and six feet deep. Empty, each wagon weighed 7,800 pounds. Two loaded wagons plus the water tank made a total load of 73,200 pounds or 36 1/2 tons. Between 1883 and 1889, the twenty mule teams hauled more than 20 million pounds of borax out of the Valley. During this time, not a single animal was lost, nor did a single wagon break down — a considerable tribute to the ingenuity of the designers and builders and the stamina of the men and mules. Chosen for their intelligence and ability to lead the others, the first two mules in the train were aptly called the "leaders." The next 10 mules were known as the "swing team," workers that did not need special training beyond responding to commands such as "stop" and "pull." Following the swing team came the "pointers," "sixes" and "eights" — the pairs specially trained to leap over the chain when the mule train turned a corner. These mules were trained to respond to commands by name. Finally, the "wheelers" were the last pair in the train. These mules, or sometimes draft horses, were the largest and strongest of the pack animals. Swinging the team around a curve in a mountain pass tested both driver and team: one mistake could spell death for all. As the team started around a sharp curve, the chain tended to be pulled into a straight line between the lead mules and the wagon. To keep the chain going around the curve and not pull the team straight over the edge, some of the mules were ordered to leap the chain and pull at an angle away from the curve. These mules — the pointers, sixes and eights — would step along sideways until the corner had been turned. Swinging a curve successfully was an awesome demonstration of training and teamwork. Muleskinners — also called drivers or teamsters — were responsible for harnessing the mules each morning, inspecting each piece of harness and hooking up the outfit. Maneuvering the team across the rugged desert was only part of the muleskinner's job. He also had to serve as a practical veterinarian and mechanic, caring for any sick or inured animals and repairing the wagon along the way. Characteristically, these were solitary men with short tempers, used to enduring extreme hardships. For their efforts, muleskinners earned from $100 to $120 per month — very high wages for the time. Twenty mules were hitched to single- and double-trees, then latched to an 80-foot chain running the length of the team. This chain was fastened directly onto the lead wagon. A long rope ran through the collar ring of each left-hand mule up to the leaders. Although the driver also wielded a whip with a six-foot handle and a 22-foot lash, his primary method of giving orders lay in manipulating this rope — called the jerk line — which ran the length of the team. A steady pull on the jerk line turned the team to the left, a series of jerks sent it to the right. The driver also rode the "nigh wheeler" (the left-hand mule) on downhill stretches to operate the brake. The one-way trip from mine to railroad took 10 days across the desert and through the mountains. Several natural springs bubbled along the route. These were improved and, in some instances, water was piped down to the trail from the wells. When the distance between the wells was too far, the teams relied on water they carried with them. Each team pulled a 500-gallon iron tank behind the wagons. Wooden tanks would dry up and fall apart when empty in the blistering heat, so heavy iron was used. The mules ate hay and grain stored a day's journey apart. The men carried their beans and bacon with them on the wagons. A loaded team traveled an average of only 17 miles a day and made camp in the desert at night. Making life on the trail a little easier were "swampers." When the team made camp, it was the swamper who unharnessed the mules, gathered firewood, cooked and washed the dishes. The rough route across the desert was often fraught with danger. The heat, desolation and rattlesnakes presented ominous obstacles for both man and mule and occasionally the brakes gave way down a steep mountain grade and the heavy rig would thunder down the trail hard on the heels of the frantic mules. After diligently hauling borax out of Death Valley for more than five years, the twenty mule teams were relieved of their daunting task by the growth of railroads and new mineral deposit discoveries. Long after they ceased to make the tortuous trek from Death Valley, the teams continued to make many promotional and ceremonial appearances on behalf of Borax. The 20 mule team lives on around the world as a symbol of success — from the founding pioneers who shipped the mineral through an unrelenting desert to current Borax leaders and employees, the same spirit of innovation and dedication prevails. Borax products now form an integral part of our lives. Hundreds of varied products contain the same basic ingredient that spawned a revolution in transportation and an enduring symbol of courage more than 100 years ago: borax. Registered in 1894 and first used in 1891, the 20 MULE TEAM symbol became the trademark of the Pacific Coast Borax Company — and, in turn, of Borax — and its many industrial and household products. Today, it would take more than 250 mule teams to transport the borax ore processed in just one day at Borax's modern facility in the Mojave Desert. Not surprisingly, this mine supplies more than half of the world's borax needs. Back when the mule teams were running, borates were a household staple. People used borax to aid digestion, keep milk sweet, improve their complexion and remove dandruff. Borax was also touted as "excellent for washing carriages" and useful for curing epilepsy and bunions. Glass — including fiberglass insulation, Pyrex, optical lenses, laboratory glassware and art glass. Porcelain enamel — that covers stoves, refrigerators, freezers, bath fixtures and cookware. Ceramics — as an important component of the glaze on pottery, chinaware and tiles. Detergents and soaps — to enhance whitening, brightening or bleaching of laundry products and as an ingredient in many hand soap formulas. Aircraft and automobiles — to keep engines running clean, in antifreeze, brake fluid, and to build lightweight, high-strength structural sections in aircraft. Cosmetics and medicines — for face creams, lotions, dusting powders, ointments, hair products, and eye bath solutions. Building materials — to flameproof and protect lumber, gypsum board, particle board and insulation materials and to protect them from termites, rot and fungi. Flame retardants — to control the burning rate of wood, paper, and plastic products and to flameproof mattresses. Electronics — as a treatment to the silicon that runs diodes, semi-conductors, transistors and microcircuitry. Agriculture — as a soil micro-nutrient to aid in plant growth and yield.